The development of cutting edge pharmaceuticals requires non-clinical safety assessment of candidate drugs, with kickoff from efficacy assessment (Does it work? ); subsequently, ADME profiling (How it is transported and what does the body do? ); succeed with toxicology / safety pharmacology assessment (What are the side effects and is it safe? ); to final pharmaceutics (Is the manufacture feasible and controllable?). 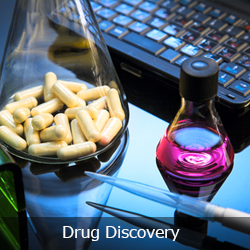 At DRIK, an integrated non-clinical research service provider, we offers pharma clients with essential (drug safety and toxicology) data to get their critical (effectiveness / safety) question answered in advance. During the early discovery, development, and research phases, client scientists in the life science community (therapeutic, pharma, biopharmaceuticals, and biosimilar) consider cost effective early-stage strategies for bringing safer, more effective drugs to market faster. At DRIK, being able to schedule clients testing quickly, capped with In Vivo animal model (pilot tolerability and efficacy studies); that evolves from studies utilizing the In Vitro methods of efficacy-toxicity evaluation to applying computer based In Silico models for toxicity prediction; we advance their novel innovation to clinical trial. Made-to-order services offered to benefit our clients. Are you currently running or expecting to being any tox test? For instance, In Vitro cancer studies can be utilized to analyze the potential of cancerous cell line to migrate. Conceivably In Vivo studies are conducted to evaluate efficacy of drugs of interest using the following models: xenograft, orthotopic and patient derived xenograft (PDX) studies.